It has been a while since I have been here! Life happens. Children are born, children grow, lives change. Our interests and passions grow in different directions. Its been a few years since I stepped away from my corner on the web. Where have I been? On the run... literally! What began as a distraction, a daily exercise routine has turned into a real life passion. I'm officially half 13.1 crazy! In the past few years I have managed to come to a place of overall health and well being. No longer overweight, no longer dependent on glucose medication, or anxiety pills... I owe it all to plain and simple asphalt therapy. How? 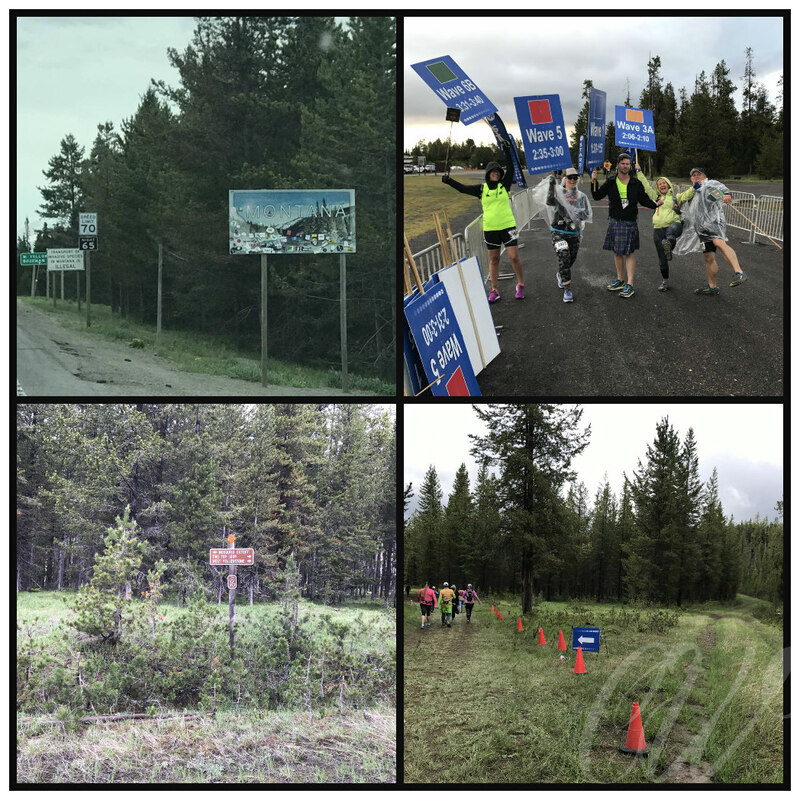 While on a summer get away to my favorite place on earth I witnessed the runners of the inaugural Yellowstone half marathon completing their journey! I had to know more. I had to participate. I waited patiently until the following years registration opened and tentatively trained for the race that would change my life! The race that would inspire me to help others obtain their goals and dreams. 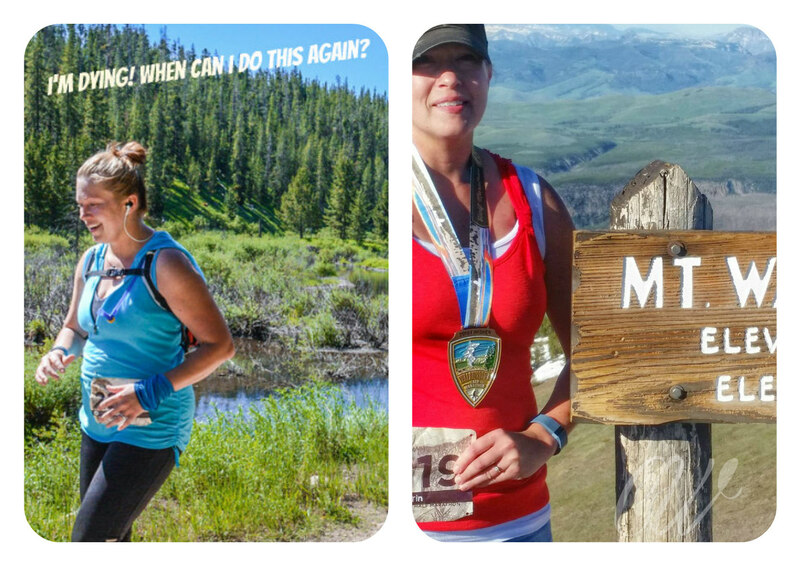 The Yellowstone half marathon will change you in ways you did not think possible. You will find what you are made of. The Yellowstone half marathon became my Everest and I will return for a fourth time this year to conquer her once again! Each year I have returned to the beauty and serenity of the Custer Gallatin National Forest a little stronger, a little faster and with eager anticipation for a new experience with an old friend! In 2017 I participated as a pacer. Vacation Races have become a part of my life, of my family traditions. The opportunity to get away with family, to create memories, to run a race in a place on the planet few can say they have is indeed a privilege. I recently completed the inaugural Joshua Tree half marathon. The experience was otherwordly! The Yellowstone half marathon takes place in the town of West Yellowstone Montana. The race is held outside of the park mostly on a packed trail. 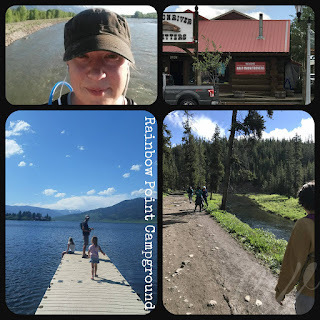 You will cross the South Fork of the Madison River as you begin your wild adventure and then again run alongside the river for a stretch in the later miles. A literal "Over the river and through the woods" Do not let the fact that it is not inside the park dissuade your decision to participate! The views and scenery of this course will stay with you forever! You might even see some of the native wildlife! This course can be difficult and has been referred to as a trail run due to some technical sections. 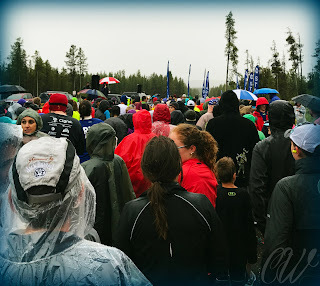 I have participated in this race in the rain, sun and snow. Last year as we lined up with excitement for the 5k (which is held the night prior to the half marathon) the rain was unrelenting! Spirits remained high! We knew we were a part of something special! This family friendly race ended up being a riot! Not a single frown could be seen at the finish line. Muddy soggy finishers lined up for enthusiastic photos eager for the morning run! One of the most awesome aspects of the Yellowstone half is the opportunity to get some real sight seeing and time in two national parks! 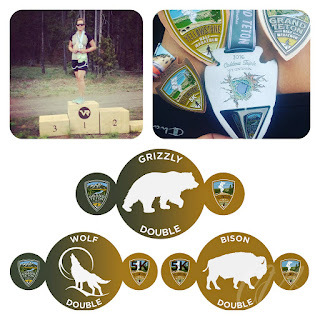 Vacation Races have created a series centered around Grand Teton and Yellowstone. By participating in the Caldera Triple you get entry into the Grand Teton half June 2nd, the Yellowstone 5k June 8th and the Yellowstone half June the 9th. Totaling a impressive 29.3 miles! There are also double races you can receive some fantastic bling and notoriety for! Clubs and Trifecta will complete your trip as well. I will be giving away one free race entry into the race of your dreams! This is your year! Don't miss out! Enter below for your chance to run this unique and breathtaking race! Feel free to ask any questions about your stay in West Yellowstone! I am very familiar with the area! See you June 9th and good luck! Visit Loressa's profile on Pinterest.